Rowntree's chocolate covered wafer bar was first introduced in England in 1935 and was renamed KitKat in 1937. The best selling chocolate bar in the world began life in Yorkshire. 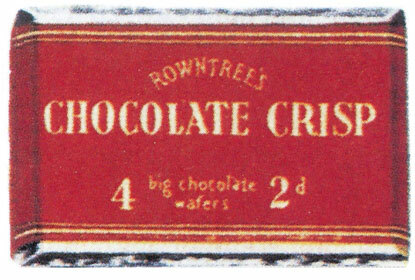 This product was developed as a four-finger wafer crisp, launched in London in September 1935 as 'Rowntree’s Chocolate Crisp'. 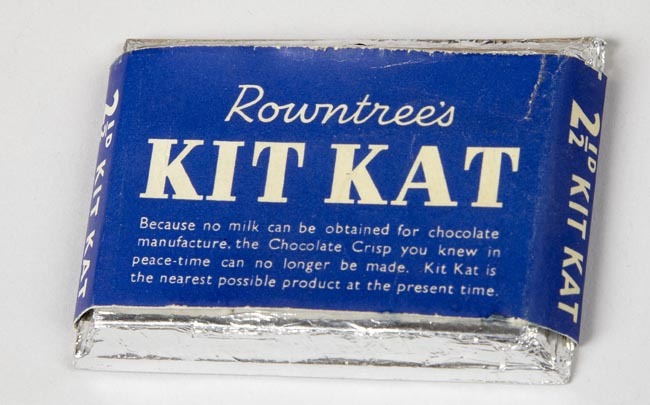 It was re-named two years later as KitKat Chocolate Crisp then shortened to just KitKat after the Second World War. 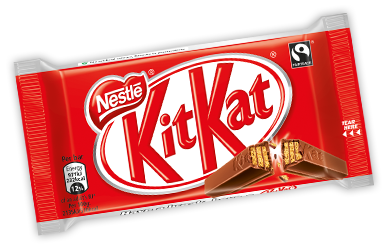 The origin of the name KitKat is uncertain but it’s thought the famous KitKat Club of the 1920s had some influence. It was changed to a blue wrapper in 1945, when it was produced with a plain chocolate covering due to shortages of milk after the war. It reverted back to red in 1947 when the standard milk chocolate KitKat was reintroduced. In 2010 the Guinness Book of Records certified KitKat as the most sold chocolate brand across the world when it was sold in 72 countries. Today more than 17 billion KitKat fingers are eaten each year from 14 factories around the globe. The original factory in York alone produces over 4 million bars a day. So why not ‘Have a Break’ have a KitKat!